TERMS AND CONDITIONS OF TRADE of Fencebuild (Australia) Pty Ltd herein after referred to as Fencebuild. ABN: 39 121 732 330 | PH: 07 3827 8750 | FAX: 07 3803 1647 | 116 Magnesium Drive, Crestmead QLD 4132. Terms are strictly due 30 days from date on invoice. FENCEBUILD shall be protected for payments under the QLD Building & Construction Industry Payments Act 2004 and any subsequent amendments. Method of Payment: Payment may be made by Direct Bank Deposit to FENCEBUILD’s bankers, Commercial cheque and/or Bankers cheque in favour of FENCEBUILD and/or by Credit Card. Dishonoured Payment: In the event that a cheque or funds transfer or credit card is dishonoured then FENCEBUILD reserves the right to debit the Client with a handling fee of 1% of the total transaction or $50.00 whichever is the greater, plus all financial institution fees and charges rendered upon FENCEBUILD as a result of the dishonoured transaction. Title of Goods: Title of goods does not pass until payment is received in full by FENCEBUILD .The Client must hold insurance and fully indemnify FENCEBUILD in all aspects until title is passed. In the event that the Client uses the goods/products in some manufacturing and/ or construction process of its own or for a third party, then the Client shall hold first monies received from the proceeds of such manufacturing and/ or construction process as relates to the goods in trust for FENCEBUILD Such part shall be deemed to equal in dollar terms the amount owing to FENCEBUILD at the time of the receipt of such proceeds. FENCEBUILD reserves the right to require a deposit. The amount of such deposit shall be advised at the time of quotation and shall be subject to the addition of GST. Prices quoted are net prices and no retention is to be applied unless specified and agreed to by Fencebuild within the contract. FENCEBUILD reserves the right to request progress payments on any and all transactions such progress payments shall be agreed upon between the client and FENCEBUILD at the time of the issuance of FENCEBUILD ‘s quotation and subsequent acceptance of FENCEBUILD ‘s quotation by the client. Progress payments shall be in addition to any deposit stipulated in clause 2. FENCEBUILD reserves the right to schedule progress payments however it deems necessary including that the first progress payment may be required at the time of placing the deposit as acceptance of FENCEBUILD’s quotation. These terms and conditions of contract and trade are in addition to and together with any other terms communicated in respect of the provision of services and/or goods, where they are in conflict, the latest published terms and conditions shall prevail, as shall be the case where special terms and conditions are negotiated at the time of quotation and are acknowledged by both FENCEBUILD and the client in writing that the said special terms and conditions shall prevail. Any terms and conditions of the Client’s set out on the Client’s acceptance documentation of FENCEBUILD’s quotation that deviate or are inconsistent with FENCEBUILD’s terms and conditions of contract and trade shall not bind FENCEBUILD, notwithstanding any statement by the Client in its acceptance documentation that the Client’s terms and conditions shall prevail over FENCEBUILD’S terms and conditions of contract and trade. Unless previously withdrawn, a quotation is valid for thirty days or such other period as stated therein, A quotation is not to be construed as an obligation on the part of FENCEBUILD to supply goods and/or services but merely an invitation to treat and no contractual relationship shall arise there from until the client’s acceptance in writing has been received and accepted by FENCEBUILD. Upon acceptance of FENCEBUILD’S quotation the Client is to include and refer to FENCEBUILD’s quotation number in the Clients Acceptance documentation and in all and any communications in relation to that quotation. Any addition to or any change (including change of mind e.g. colour) to the scope of work under the contract on will be treated as a variation to the scope of work and will be subject to additional charges to be nominated by Fencebuild. Unless specified quotations are based on digging in soil. Any digging into rock, tree roots, concrete or building rubble will be treated as a variation to the scope of work and will be subject to additional charges to be nominated by Fencebuild. Should there be any default in our payment terms, all monies owing by the Client to FENCEBUILD shall become immediately due and payable and a Credit Bureau Default may be lodged without further notice. FENCEBUILD reserves the right to charge interest at a rate equivalent to National Australia Bank indicative Lending rate plus 4% (Four Percent) calculated daily from the date of invoice on all overdue accounts exceeding 60 days after the date of invoice. Interest shall also be applicable on the Goods and Services Tax (hereinafter referred to as GST) associated with any and all overdue invoices. For the purpose of calculating the penalty interest for non- payment the due date for payment shall be deemed to be 30 (thirty) days from the date of invoice. The Client shall be granted a fixed credit limit that will be determined by FENCEBUILD In the event that the account exceeds this limit FENCEBUILD reserves the right to withhold the supply of goods, services and ongoing support without notice. The Client will notify FENCEBUILD of all material changes in name and/or financial status, which may result in the need for FENCEBUILD to reassess the credit limit previously granted to the Client. The Client acknowledges that FENCEBUILD is entitled to presume that any person forwarding instructions from the Client’s office purporting to have the authority to bind the Client to a contract for the supply and delivery of goods and/or services from FENCEBUILD has the authority they claim. If The Client is a Trustee, the Directors warrant that they have the authority and power to enter into an agreement with FENCEBUILD and personally guarantee the performance of all of the trusts obligations under such agreement. Prices and other charges and discounts offered are subject to alteration without notice, should an order be received by FENCEBUILD requesting supply on non-current pricing terms, FENCEBUILD has the right to amend the prices, charges and discounts to reflect prevailing pricing terms. These Terms and Conditions of Contract and Trade shall be binding upon the Client its successors, executors, receiver managers/administrators and permitted assigns and shall inure to the benefit of FENCEBUILD its successors and assigns. Where applicable, GST is payable on all goods and services supplied by FENCEBUILD. Where any deposit or prepayment is required to secure delivery or specific performance by FENCEBUILD, GST is payable on the full invoice cost and FENCEBUILD reserves the right to request immediate payment of the full amount of GST in addition to the deposit or prepayment. Where GST is payable on any invoice and is not paid under credit terms the penalty clauses as mentioned in Clause 7.2 shall apply. FENCEBUILD shall contact the Client in the event that modifications are required to the Client’s specifications and/or drawings in order that FENCEBUILD may manufacture the component, apparatus and/or instrument required by the Client. Where modification to the specifications and/or drawings & specifications is required, FENCEBUILD is entitled to presume that any person forwarding instructions from the Client’s office purporting to have the authority is deemed to have such authority. (verbal communication is acceptable by both parties in order not to delay the Client’s order any longer than necessary it should be noted that such verbal communications are to be reconfirmed in writing so that a written record is held by both parties). FENCEBUILD shall be held blameless for any errors in production that may occur where the fault is found to be that the Client has supplied incorrect or insufficient technical or ordinary data for the production and manufacture of a component, apparatus and or instrument. For such cases FENCEBUILD reserve the right to charge the Client a fee to cover the cost of materials labour and transportation for the incorrect component, apparatus and or instrument. Cancellation fees: On acceptance by the Client of FENCEBUILD’s quotation specifications may not be amended or an order cancelled without the written consent of FENCEBUILD. Should FENCEBUILD agree to amend or cancel a transaction after the acceptance by the Client of FENCEBUILD’s quotation the Client shall indemnify FENCEBUILD against any and all loss, damages and expenses incurred as a result of the amendment or cancellation of the transaction, including the cost of return freight , handling charges by FENCEBUILD and third parties, return shipping charges to factory of origin, Full cost of items purchased from third parties for inclusion in goods and or service to be supplied in accordance with the transaction documentation, Compensation for loss of profit by FENCEBUILD and all labour and engineering cost incurred by FENCEBUILD in the execution or part execution of the goods and or services required in accordance with the transaction documentation. Any damage to underground utilities, water pipes, gas, electricity, telephone, sewer or pool pipes etc, are the sole responsibility of the Client unless an exact plan of utilities is given to FENCEBUILD. The Client is responsible for determining and supervising the alignment and location of the fence and any surveys required. Unless specified, the Client is responsible for leveling the ground to avoid any gaps under the fence. Should FENCEBUILD arrive on site for a confirmed installation and the site is not ready for work to commence, we reserve the right to charge a rate of $100 per hour or part thereof per worker up to the normal time of cessation of the normal working day (excluding overtime periods) to recover downtime costs. The completion date of work shall be deemed to be the date of the completion of works stated on FENCEBUILD original quotation and the Client’s acceptance documentation of such quotation. Any and all variations and amendments to the original quoted work shall be treated separately from the original quoted work and as such may have a future completion date other than the completion date of the original quoted work. Any specialised tooling and/or jigs required in order to produce the finished item for the Client by FENCEBUILD shall remain the sole property of FENCEBUILD and as such may be used by FENCEBUILD to reproduce items of a like or similar product for third party orders without any recourse by the Client. Neither party will be held responsible for any delay or failure in performance of any part of any agreement between FENCEBUILD and the Client to the extent such delay or failure is caused by events beyond such party’s reasonable control, such as fire, flood, explosion, war or the engagement of hostilities, strike, embargo, labour dispute, government requirement, civil or military authority, and inability to secure materials or transportation facilities. Each party will endeavor to give the other party reasonable notice of delay. All claims for goods and materials must be in writing and received within fourteen days of receipt of Goods and/or Materials by the Client. Goods and/or Materials supplied by FENCEBUILD being produce in part or in total using a third party manufacturer and/or supplier then the warranty of the third party shall prevail for the component or components produced by that third party, however, for the portion of the component or components produced and supplied by FENCEBUILD such claims must be received in writing within fourteen days from receipt of Goods and/or Materials by the Client. Freight charges shall be covered by the Client for goods forwarded to FENCEBUILD and/or the manufacturer. FENCEBUILD shall cover freight cost for goods forwarded from FENCEBUILD Offices to the Client for such warranty items. The Client shall accept freight cost for warranty items returned from the manufacturer to the Client. Upon the issuance of a purchase order from the Client to FENCEBUILD written or verbal it shall be deemed that the Client has accepted in full and without exception all clauses stated in the Terms and Condition of Contract and Trade of FENCEBUILD Also that by the issuance of their purchase order or verbal order instructions the Client has agreed to be bound by the said Terms and Conditions of Contract and Trade of FENCEBUILD without exception. FENCEBUILD or any of FENCEBUILD employees or third party agents acting on behalf of FENCEBUILD shall not be held liable for the accuracy of data. It is agreed that such data accuracy is the sole responsibility of the Client and/ or the Clients agent or any third party acting on behalf or under instruction of the Client for the issuance of data to FENCEBUILD or any of FENCEBUILD employees or third party agents acting on behalf of FENCEBUILD. The Client shall ensure the safety of FENCEBUILD its employees, agents, servants and any sub contractor acting on behalf of FENCEBUILD while they are present on the Client’s premises and/or property. It shall be the Clients’ responsibility to maintain a safe working environment free from noxious odors and items they may be regarded as or may create a hazardous working area. FENCEBUILD reserves the right to vacate the premises on the grounds of an unsafe working environment. FENCEBUILD further reserves the right to charge the Client a penalty of not less than $100.00 per hour or part thereof per worker up to the normal time of cessation of the normal working day (excluding overtime periods). Where such delays occur FENCEBUILD shall endeavor to complete the project on time but should the project over-run the original anticipated completion date then the Client unconditionally agrees to accept such over-runs that have been caused as a result of the Client’s premises being considered an unsafe working area. In the event of changes to the current government taxes, levies and charges that the client is liable to pay to FENCEBUILD. Then the Client agrees to pay to FENCEBUILD such new or increased taxes, levies and charges that are imposed by the Commonwealth Government of Australia and/or any State or Territory Government within the Commonwealth of Australia. 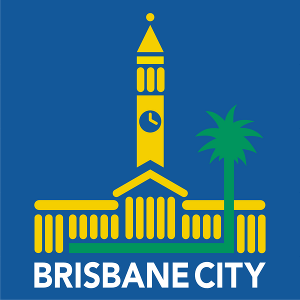 Any dispute or action in relation to these Terms and Conditions of Trading shall be subject to the absolute jurisdiction of the laws of the State of QUEENSLAND.